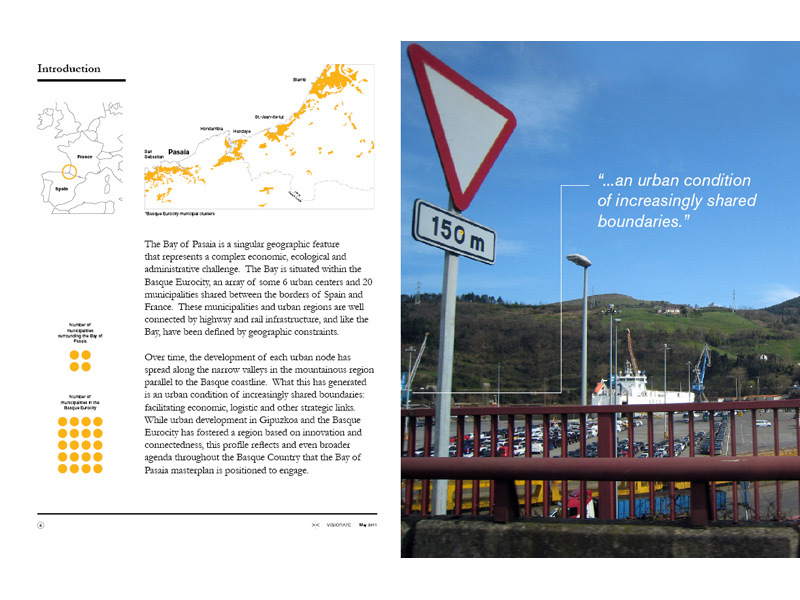 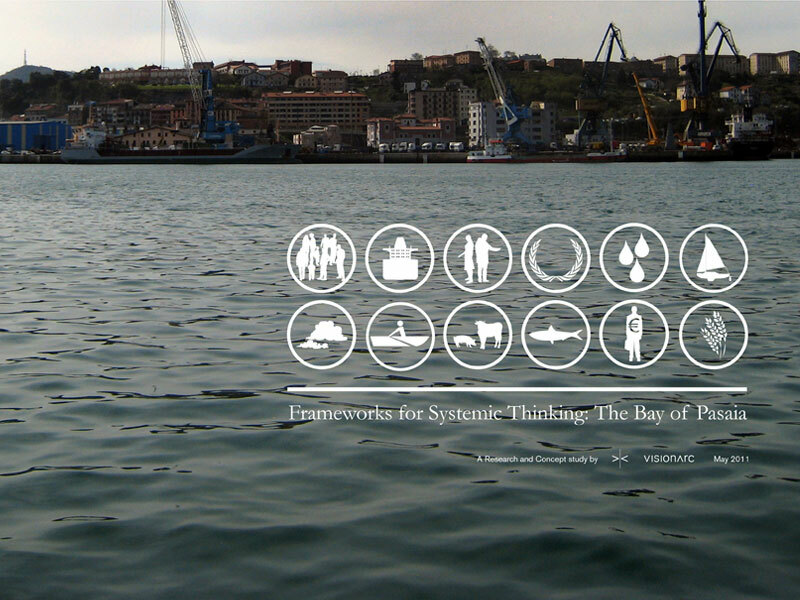 VisionArc was commissioned by the Basque Government agency Bilbao Metropoli-30 to produce an analysis of an urban regeneration plan proposed in the Bay of Pasaia. 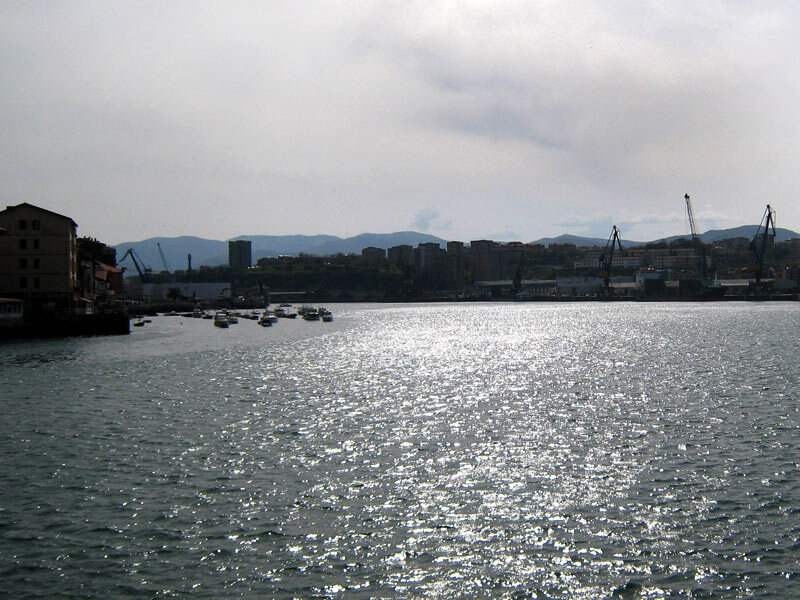 Currently used for port and industrial activity, the Bay of Pasaia is a unique ecological zone within one of the few natural fijords on the Cantabrian coast. 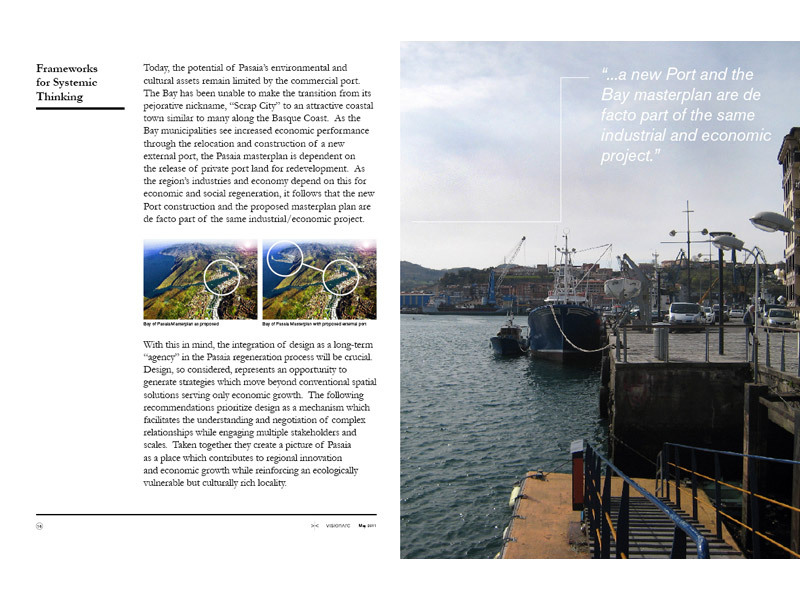 The regeneration is seen as a key opportunity to strengthen surrounding communities and Pasaia’s socio-economic position within the Basque Eurocity, an urban region stretching from San Sebastian to Biarritz, France. 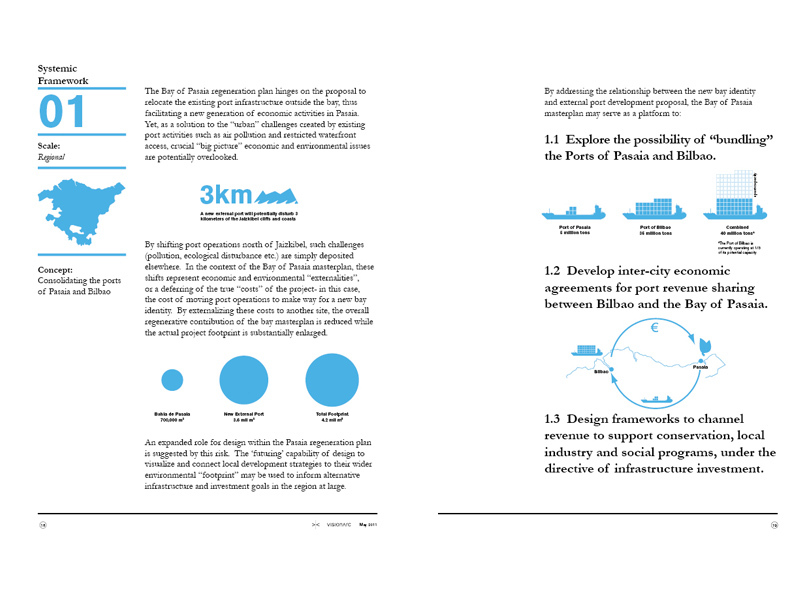 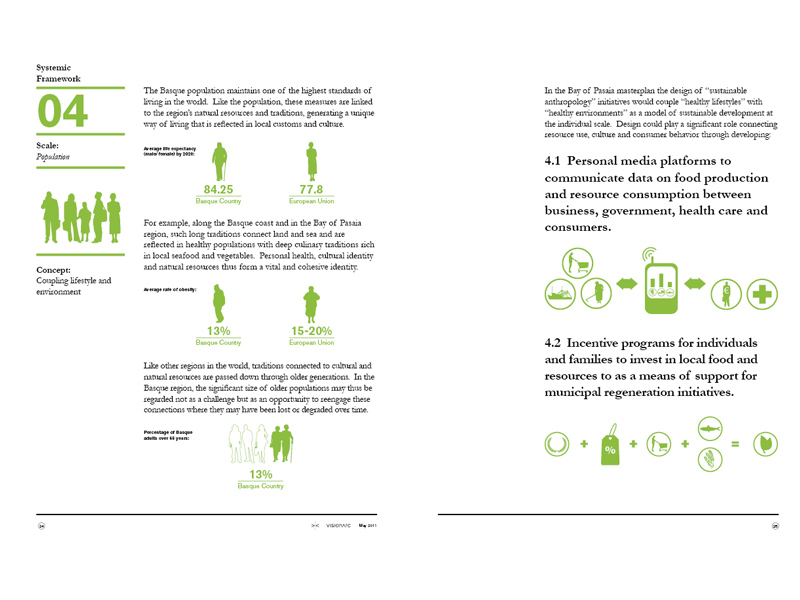 VisionArc’s analysis illustrated the interconnected environmental, economic and political dimensions of the regeneration plan. 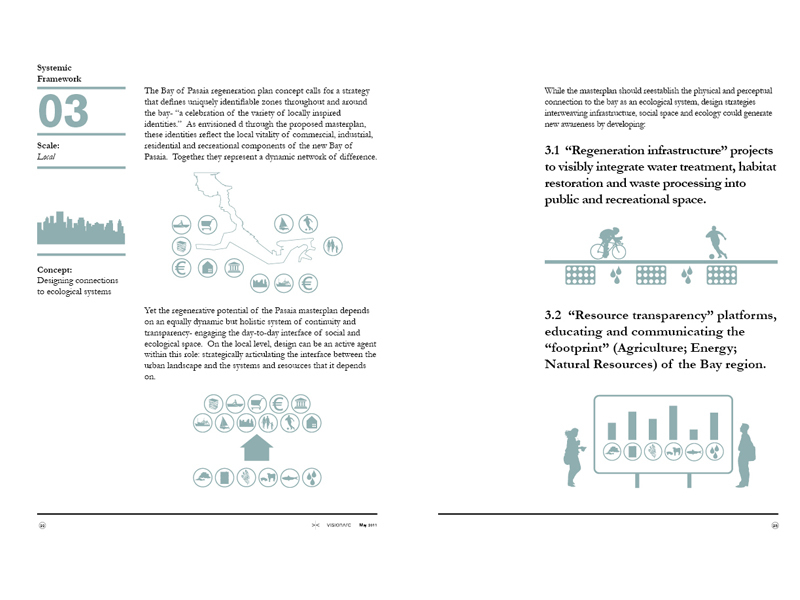 The analysis formed the basis for a series of proposals that were designed to negotiate multiple stakeholders and scales of concern. 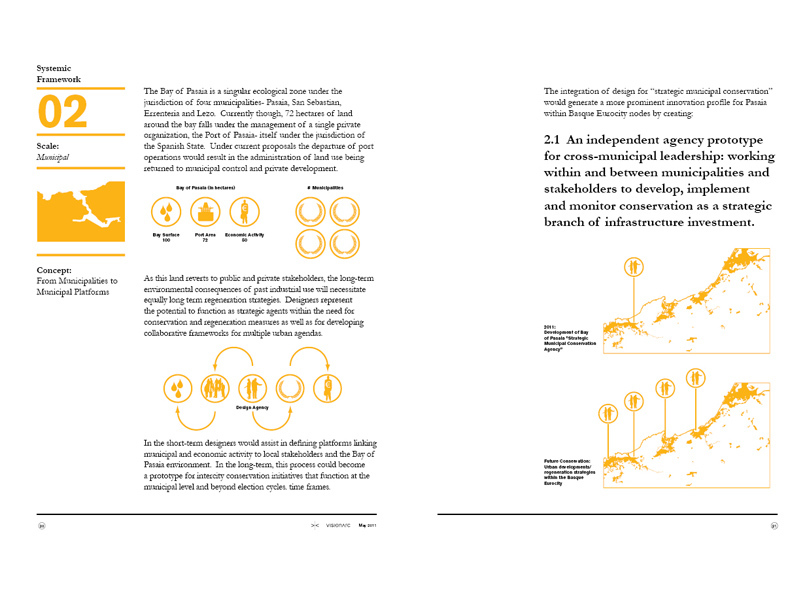 The proposals offered strategic design as a vital tool for moving beyond conventional urban typologies towards more holistic standards for urban development in ecologically important regions. 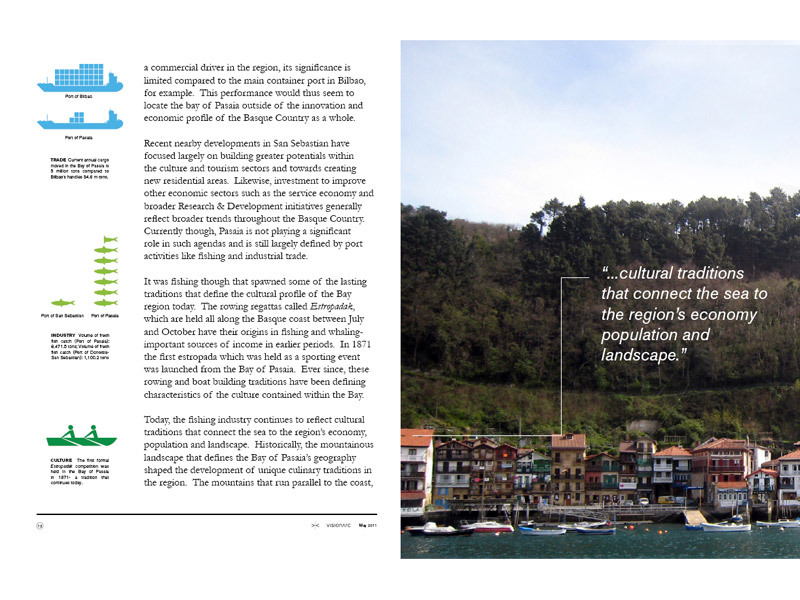 Taken together VisionArc sought to create a picture of Pasaia as a place that can become a model for regional innovation and economic growth while also reinforcing an ecologically vulnerable but culturally rich locality. 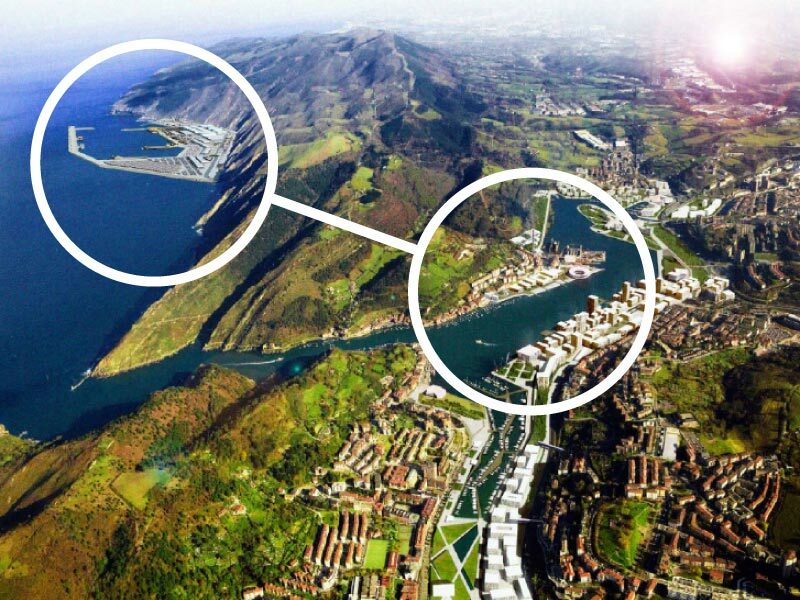 Recommendations for the Bay of Pasaia regeneration plan are currently under ongoing consideration by the Provincial Council of Gipuzkoa.